Green Pest Guys is an eco-friendly pest control service locally owned and operated in Houston, Texas, and the surrounding area. Mark Mahana and his wife, Elizabeth, established the company in 2010 because of their deep commitment to the community and a desire to provide a comprehensive, eco-friendly service that would benefit families and businesses alike. Green Pest Guys is an exceptional pest control service, with knowledgeable and trustworthy technicians who are trained to eradicate pests effectively as well as be environmentally friendly. 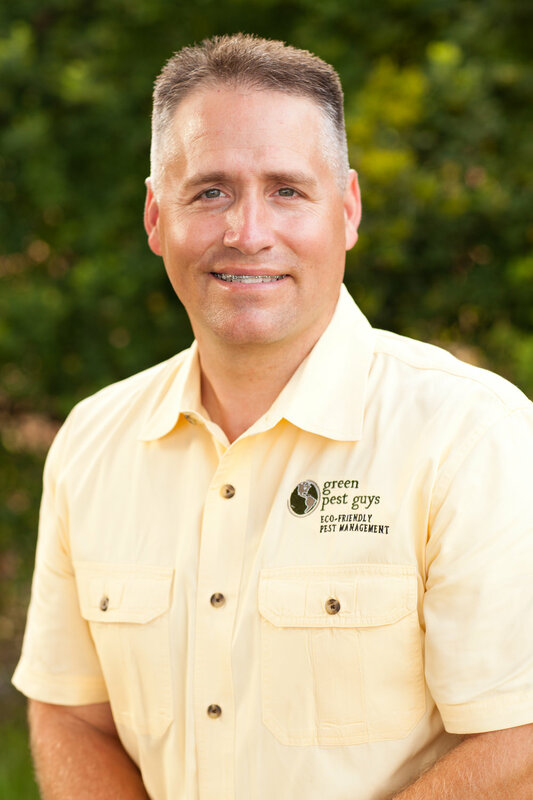 Green Pest Guys developed a unique business style, dedicated to personal, friendly, and honest service. Service is customized to fit the individual needs of each business or home served. Mark, an Eagle Scout, currently serves as a Scout leader and firmly believes and lives the Boy Scout values. Mark and Elizabeth have been happily married for 25 years and have five children. These guys are so professional! Their technician came today to give us a run down of the organic services they offer for pest control and he was amazing. We love their usage of essential oils instead of the harsh chemicals. Their pricing is very reasonable to boot! We definitely recommend their services to anyone in need of quality all natural organic pest control. Love these guys. Many of our neighbors were asking us if we had a problem with ants in our yard. No issues with ants. No fleas either. No wasp nests. No mud dauber nests. The Green Pest Guys have professional uniforms, and walk around our house thoroughly dousing the exterior with eco-friendly product. In fact they are so good on the outside, I can't remember the last time they had to come inside and treat anything. These guys are super thorough, have great customer service, and I love how they handle some of our special requests. For example, my wife and I work from home and want a heads up before they go tromping in our yard. They call us every time. I'm very happy we found this company when we moved in. We've been approached by many other pest control companies, but there is no way we're switching. Highly recommend a consistent quarterly treatment to keep those nasty Houston bugs out of your house. Mark called me personally and left me his cell number if I had any problems. He patiently explained the methods, coverage and chemical applications to my complete satisfaction. His service is more detailed, and also more reasonably priced and significantly below that of the national franchise I last employed. Current Green Pest Guys Customer?